SB Acoustics SW26DAC76-4 SubWoofer is an unusual shallow profile 10" 4 ohm subwoofer. With a depth of 2.8"/7.1 cms, it can be used in any situation where depth is an issue. Extremely level response. For an 8 ohm version, please look at SW26DAC76-8. 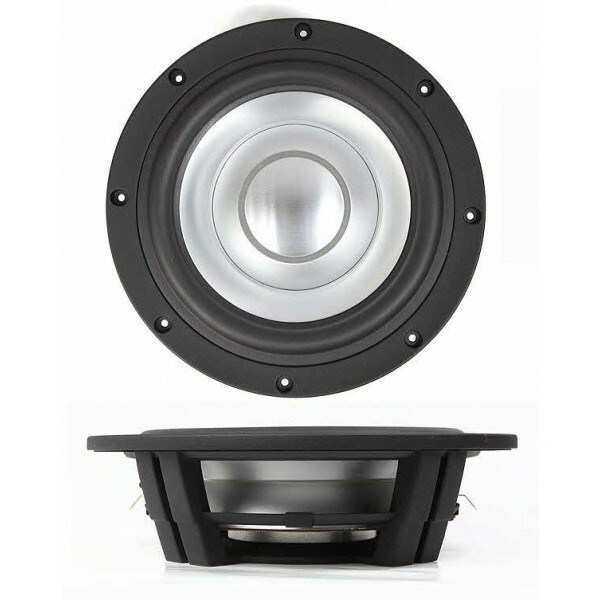 Fitted with a dual aluminum cone, 3" voice coil, and Neodymium magnet. Very open cast frame for minimal reflections. X-Max 12mm, Fs 24Hz.